A study released Monday suggests that the worst-case spill scenarios contemplated by TransCanada, the company behind a proposed 2,000-mile pipeline linking oil deposits in Canada to the American Gulf Coast, are grossly underestimated -- and that hundreds of rivers, streams and aquifers are vulnerable to toxic oil contamination. 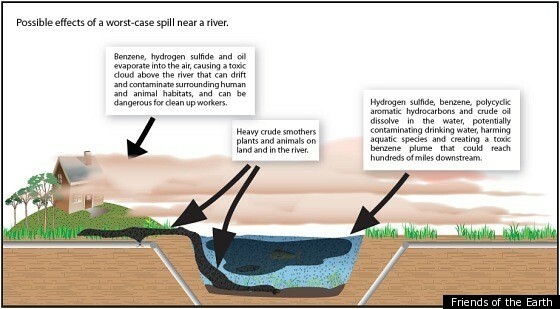 The analysis, conducted by a professor of civil engineering at the University of Nebraska-Lincoln at the request of the environmental group Friends of the Earth, examined methods used by TransCanada to calculate spill scenarios for an existing leg of the pipeline system, known as Keystone, and determined that the company made "flawed and inappropriate assumptions about the frequency and severity of expected spills from its pipelines." Among other things, the analysis concludes that while TransCanada has estimated that the proposed Keystone XL expansion pipeline would experience 11 significant spills of more than 50 barrels, or 2,100 gallons, of crude oil over a 50-year lifespan, "a more realistic assessment is 91 significant spills." The analysis also suggests that TransCanada tweaked its spill factor calculations to produce an estimate of one major spill on the 1,673 miles of pipeline about every five years. But an examination of government data on spill rates for similar pipelines, according to the study, suggests that Keystone would experience "a more likely average of almost two major spills per year." In just one year of operation, the existing leg of the pipeline has had one significant spill and 11 smaller spills. The study also concluded that the amount of time it would take to shut down the proposed pipeline should a leak occur at or near a river crossing -- among the most environmentally sensitive points along any pipeline -- could be as much as 10 times greater than that assumed by TransCanada. A recent pipeline rupture on an ExxonMobil pipeline dumped more than 40,000 gallons of oil into the Yellowstone River in Montana, heightening concerns about the potential impacts of the much larger Keystone XL project. 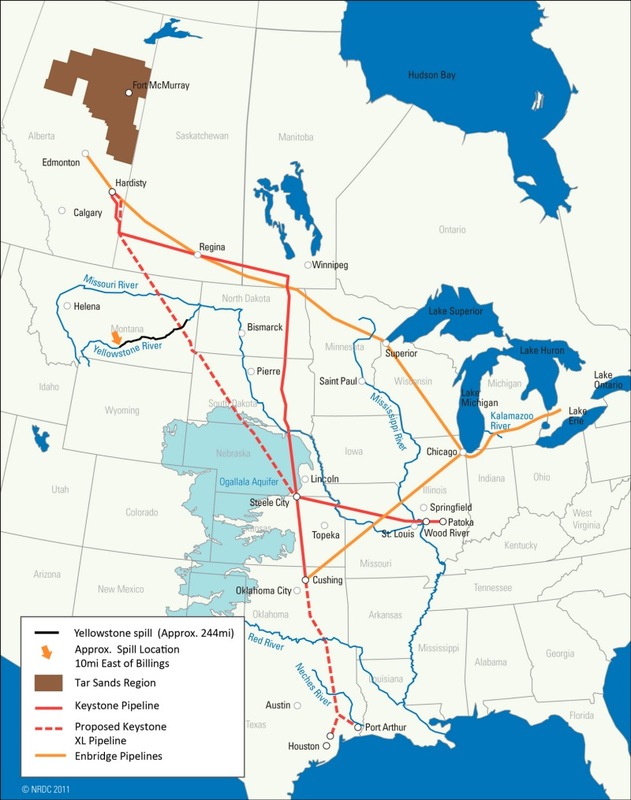 Keystone XL would cross nearly 2,000 rivers in six states. "I'm not anti-pipeline, and I'm not pro-pipeline," said John S. Stansbury, the author of the analysis. "I drive cars and I use oil. What I wanted was to provide what would be unbiased calculations on what the impacts be, so decision makers can have all the information they need." Terry Cunha, a spokesman for TransCanada, said the company was still reviewing Stansbury's analysis, but that the spill scenarios TransCanada had prepared were approved by both the U.S. State Department and the federal Pipeline and Hazardous Materials Safety Administration -- part of the Department of Transportation. Cunha also said that while the company does not disclose information on those parts of the pipeline likely to release the greatest amount of oil for security reasons, Keystone XL would be "designed to shut down automatically on an indication of low pressure in a segment of the pipeline." The contentious $7 billion Keystone XL pipeline project is currently awaiting a crucial nod of approval by the U.S. State Department. Supporters say the pipeline system, if fully developed, would allow Canada to export as much as 1.1 million barrels of oil a day to the United States -- more than double the current volume. Last month, a House subcommittee approved a Republican-backed measure that would require the Obama administration to make a decision on the Keystone XL project by Nov. 1. Critics of the project, however, are staunchly opposed to development of the pipeline's fuel source: the Athabasca oil sands of Alberta -- a gooey deposit of sand, clay and oil that requires tremendous amounts of water and energy to tap and process, resulting in copious greenhouse gas emissions. They also argue that both TransCanada and the American State Department have never adequately assessed the potential environmental impacts of the pipeline project. Last year, the U.S. Environmental Protection Agency panned a draft environmental impact analysis for the project, concluding, among other things, that it failed to "provide the scope or detail of analysis necessary to fully inform decision makers and the public." A supplement to that analysis was published in April. More than a dozen environmental groups filed comments with the State Department last month, citing numerous concerns with the new draft. Among the key findings in Stansbury's analysis is that in preparing its calculus on the potential spill frequency for Keystone, which is built in part on historical spill incident data associated with existing pipelines in the U.S., TransCanada left out spills from a category called "other causes." This category, which represents spills with no identified cause, accounts for some 23 percent of total spills, according to Stansbury, and leaving it out skewed TransCanada's spill estimates downward. The company also reduced its estimated spill frequency by 50 percent, according to Stansbury, based solely on the deployment of modern pipeline construction and materials. "I didn't think that was appropriate, to reduce the expected frequency by 50 percent because they would use 'modern' construction methods," Stansbury said, adding that the Keystone pipeline would be carrying diluted bitumen -- a far more corrosive and leak-prone material -- at higher temperatures and pressures than conventional pipelines. "I don't know if it's common practice to make those adjustments," Stansbury said, "but there's not sufficient data to support it." Terry Cunha of TransCanada said the company has always been forthcoming in its analyses, and that its estimates and environmental reviews for the project have been vetted by third-parties. "In our attempts to be open and transparent, the public is able to review and analyze our Draft Environmental Impact Statement, our Supplemental Draft Environmental Impact Statement (which contain hundreds of pages of analysis), and we also have provided the State Department and other regulatory agencies numerous third-party reports that highlight the work we have done to ensure the integrity and safety of the pipeline," Cunha said in an email. Stansbury's study looked at four vulnerable areas, including proposed underground pipeline crossings at the Missouri and Yellowstone Rivers in Montana, and at the Platte River and Sandhills region in Nebraska. "At these locations, the pipeline is susceptible to high rates of corrosion because it is below ground," the study noted. Small leaks at these locations would not be detected by TransCanada's pressure-loss detection system, the analysis suggested, and could go unnoticed for up to three months. In a phone call, Stansbury said that his review ought not be taken as the final word, but as evidence that far more analysis is needed. "The most salient point here is that a thorough and adequate assessment of the potential impacts has not been done, and I think we need to make those assessments."